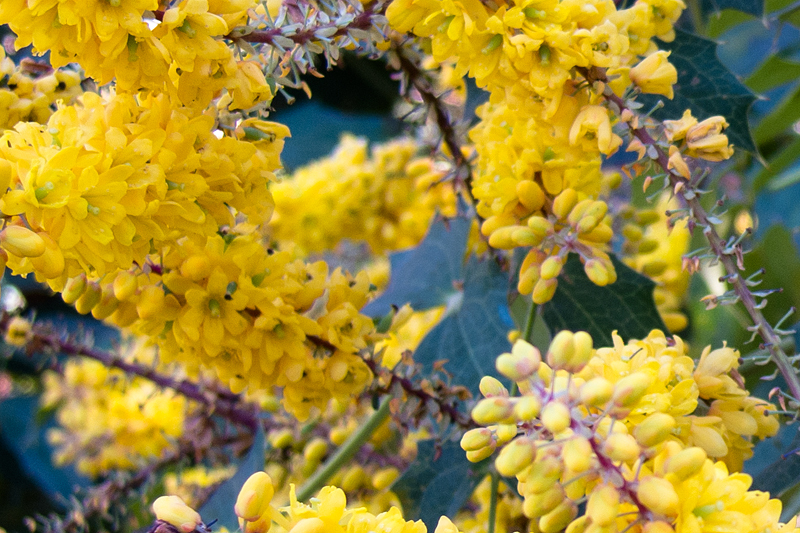 Mahonia Sikkeimensis (sik-im-EN-sis) in full bloom. Or, maybe a splash of red. 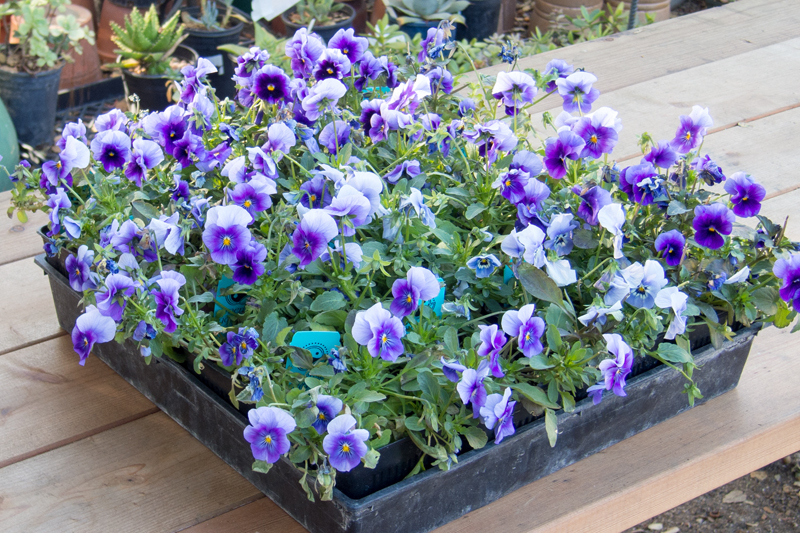 The Pansies are ready to be set out, but what if it frosts? It’s the first of February and there was a light frost here last night. 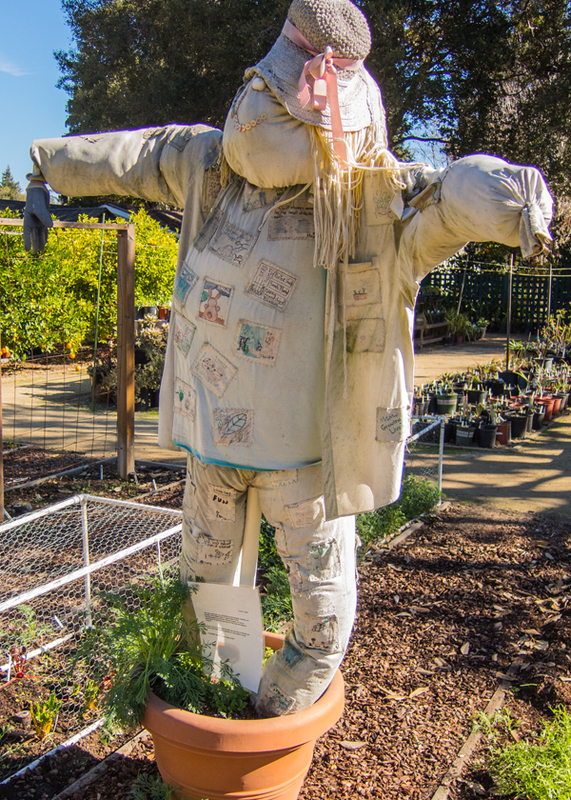 The Elizabeth F. Gamble Garden occupies 2.5-acres on Embarcadero Road near Stanford; there are formal, working, and demonstration gardens. The demonstration gardens are used as part of an educational program with local students. The estate also includes Gamble’s 1902 Georgian revival home, her carriage house, and outbuildings: teahouse, tool house, greenhouse, and a gazebo. It is open to the public at no charge during daylight hours. The Georgian revival Gamble House was built in 1902, by Edwin Gamble, son of Proctor & Gamble founder James Gamble. It was one of the first houses constructed south of Embarcadero Road — at the time not even within the Palo Alto city limits. 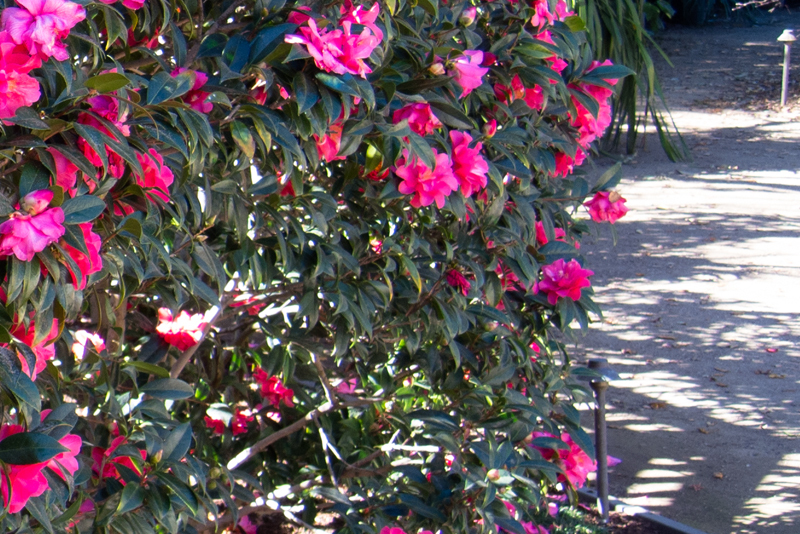 Although the property contained a worthy nine-room, three-story house, the property was truly valued for its expansive gardens as cultivated by Edwin’s daughter Elizabeth Gamble, the long-time Palo Alto resident and benefactor. A great lover of irises, the gardens boasted a world-class collection of irises and roses as well as rare trees such as a Chinese Chestnut tree, an Empress tree and a Weeping Crabtree. There was even an old carriage house built for a horse and buggy and a small tea house where Miss Gamble entertained guests. Palo Alto’s acquisition of Gamble properties was the start of a trying and often frustrating process, as the city tried to find the best uses for the property. The City Council spent more than four years debating and evaluating proposals from a dozen local groups who had their eyes on the large Gamble property. Proposed uses included expanding the adjacent lawn bowling green, a teen drop-in center, an art center, headquarters for the Older Woman’s League and a half dozen other ideas, some better than others. Gamble Garden guardian, A project of the Walter Hays 3rd grade. 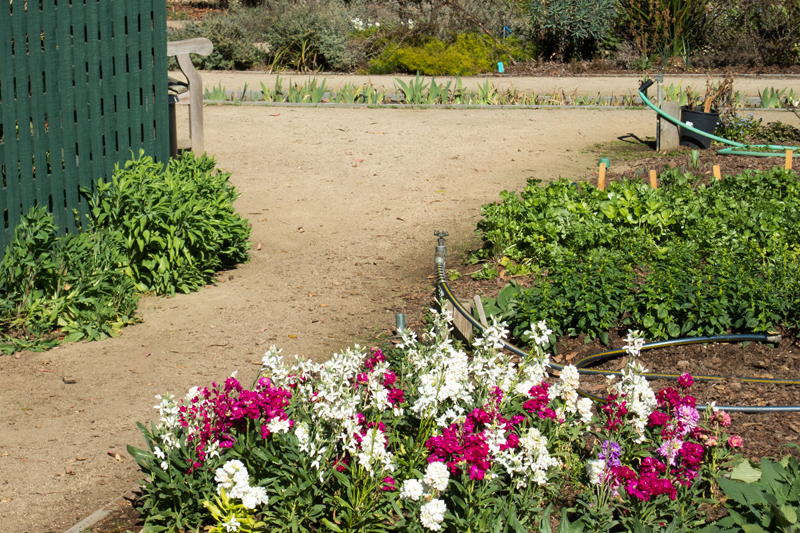 The final battle pitted the “Coalition to Save Miss Gamble’s Garden,” which wanted the entire site for a Community Garden Center, and the Palo Alto Housing Commission which wanted to build 21 units of low cost senior housing on the site. On the evening of May 13th, 1985, Council chambers overflowed with garden advocates wearing Gamble Estate flowers in their lapels. Then in a dramatic stroke of parliamentarian agility, the garden group presented the Council with a letter from Elizabeth Gamble’s sister-in-law, attesting that Elizabeth would have applauded their idea. Debate and speeches dragged on into Tuesday morning but eventually the Council voted 8-1 in favor of garden group, paving the way for the community garden center that now stands. There is much to do before the garden is Spring ready. So, 30 years later, we can enjoy spring colors in February.